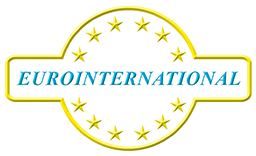 Eurointernational Group is a worldwide racing organization with branches in Italy and in United States under the company names Euromotorsport Srl and Euro International Inc. The two realities have own headquarters in Italy and USA featuring state of the art racing facilities, transportation, support vehicles, management, engineers and technicians to provide intensive services to its diverse fleet of race cars. I hereby authorize to process my personal data in accordance with the General Data Protection Regulation (GDPR) and 196/2003 Italian Law.